It’s time to get serious about holiday shopping. 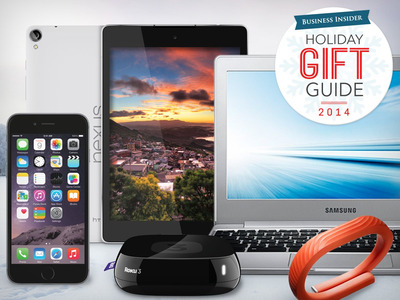 Our holiday gift guide is full of excellent ideas — whether you’re trying to find a new laptop for your son or daughter going away to college, some new cases and accessories to use as stocking stuffers, or the best entertainment devices to spice up your living room. 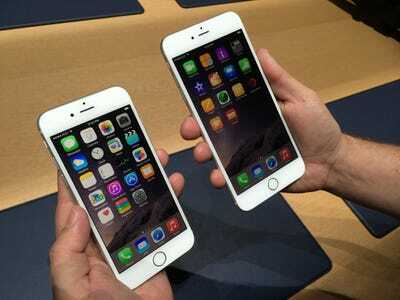 iPhone 6 and iPhone 6 Plus are the two best phones you can buy. For most people, the iPhone 6 is the best smartphone. The iPhone 6 Plus, with a larger 5.5-inch screen, is the best phone if you want a phablet. Why? Both phones are the perfect blend of design, app selection, ease of use, and powerful hardware. Price: Starts at $US649 for the iPhone 6 and $US749 for the iPhone 6 Plus. 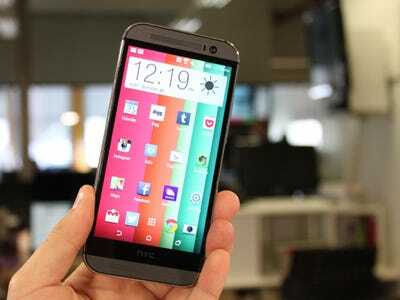 The HTC One M8 is the most beautiful Android phone. 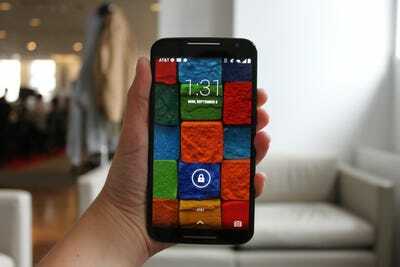 The Moto X is one of the best Android phones. 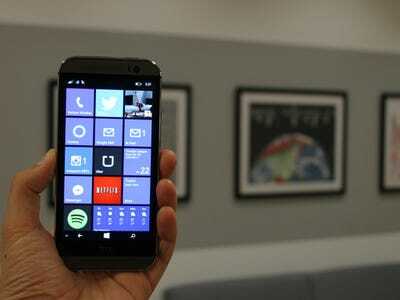 The HTC One M8 also makes the best Windows Phone. 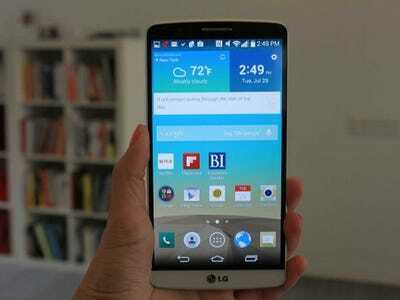 The LG G3 has an incredible screen. 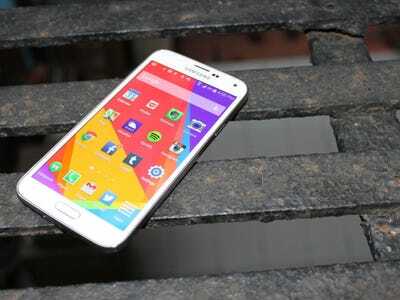 The Samsung Galaxy S5 is a versatile Android phone. 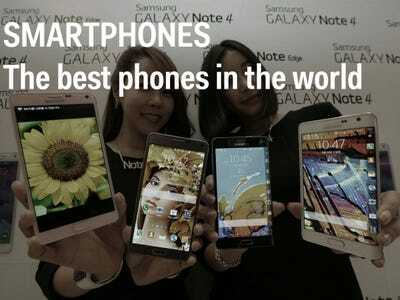 The Samsung Galaxy Note 4 is the best phone Samsung has ever made. If you want the best of the Android operating system, try Google's Nexus 6. 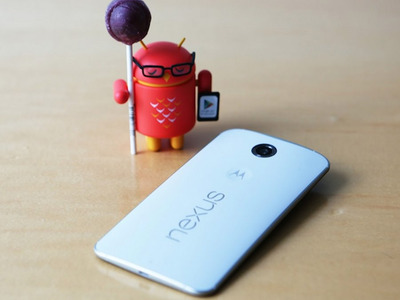 Google's newest phone, the Nexus 6, is the first device to run the redesigned version of Android called Lollipop. The phone was built by Motorola and sports a massive 6-inch display. It's one of the biggest phablets you can buy. 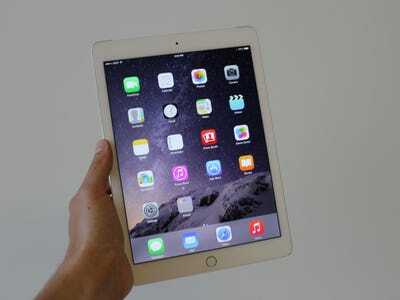 The iPad Air 2 is the best tablet you can buy. 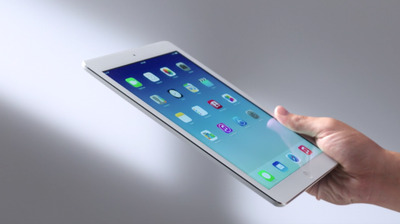 Apple has somehow managed to make its new iPad Air even smaller and lighter than its predecessor. The overall design is identical to last year's model, but all of the internal components including the processor, camera, are a little faster. And, it comes with Touch ID so that you can unlock it just by pressing your finger. Last year's iPad Air is still an excellent deal, too. 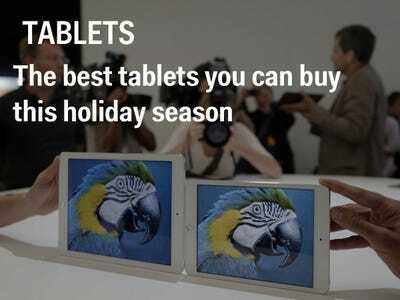 If you're shopping for someone who wants a great tablet and doesn't necessarily care about having the newest model, go for the first-generation iPad Air. It's cheaper than Apple's new tablet and is just as gorgeous, light, and fast. 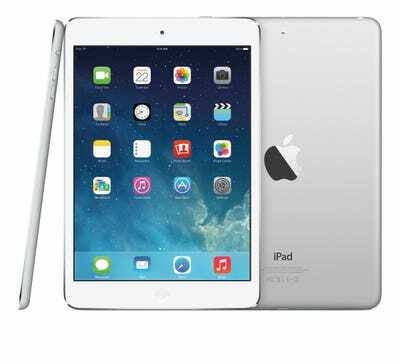 The iPad mini 2 is an excellent smaller-sized tablet, and it's just as good as the iPad mini 3. If you're looking to save a few bucks but still want an iPad mini, check out last year's version. It's exactly the same as the iPad mini 3 aside from its home button, which doesn't include a fingerprint sensor. The iPad mini 2 comes with the same Retina display and processor as this year's new model, so you won't notice any performance differences. Of course, if you really care about having a gold colour option and a fingerprint sensor, you could spend the extra $US100 on an iPad mini 3. Google's new Nexus 9 tablet is gorgeous and has the newest version of Android. The Nexus 9 has a vibrant screen and great battery life. It comes with Android 5.0 Lollipop, which means it uses a colourful, snappy new interface and comes with all of the latest features you can expect from Android. 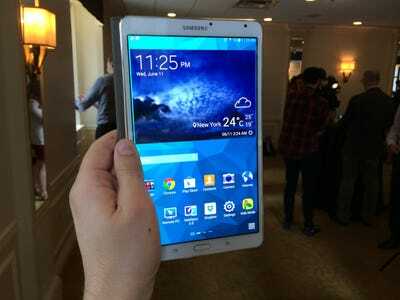 Samsung's Galaxy Tab S has the best screen of any tablet. 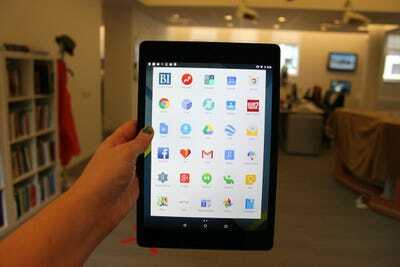 Samsung's new flagship tablet, the Galaxy Tab S, has a super sharp and colourful screen. The tablet itself is also razor thin and super light, making it a great alternative to the iPad for those who prefer Android. The Galaxy Tab S comes in two sizes: 8.5 inches and 10.1 inches, and Samsung has thrown in a bunch of goodies like free magazine subscriptions for new customers too. Amazon Kindle Fire HDX 8.9 is the best Kindle tablet yet. 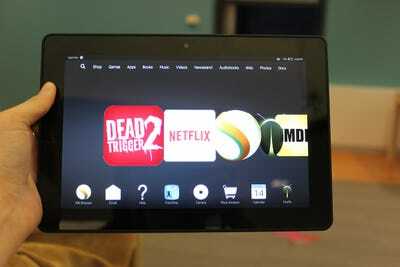 Amazon's latest tablet is excellent for reading and entertainment, especially if you frequently use Amazon Prime. It's also less heavy than both Apple's new iPad Air 2 and Google's Nexus 9, making it one of the lightest tablets you can buy. 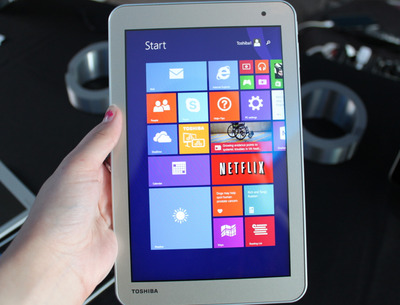 Toshiba Encore 2 gives you full Windows on the cheap. You don't have to spend a lot of money on a tablet to get the full version of Windows. Toshiba's Encore 2 is super cheap and comes with the version of Windows 8 that's meant for PCs, not the scaled down mobile version Microsoft uses for its tablets. And the smaller version is less than $US200. 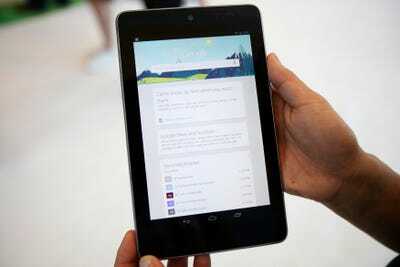 Google's Nexus 7 is still one of the best small tablets you can buy. The Nexus 7, which Google launched at the end of last year, is super slim, has a sharp screen, and also gets the latest Android updates much quicker than other devices. It's an incredible value for the price. 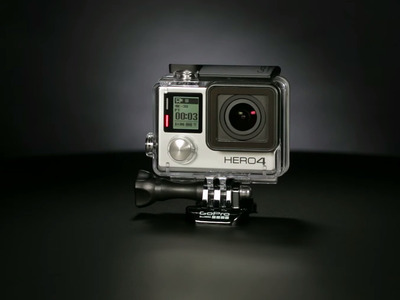 The GoPro Hero4 Black is the best action camera you can buy. 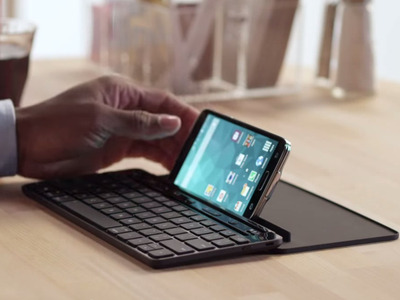 Microsoft's Universal Mobile Keyboard will work with whatever device you have. 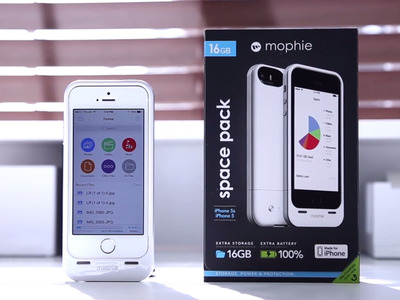 The Mophie Space Pack will give your phone extra battery life and storage space. Mophie's Space Pack case combines a 1700 mAh battery and up to 32 GB of extra storage to your smartphone, doubling your phone's battery life and giving you enough room for 4,000 more songs or 8,000 more photos. 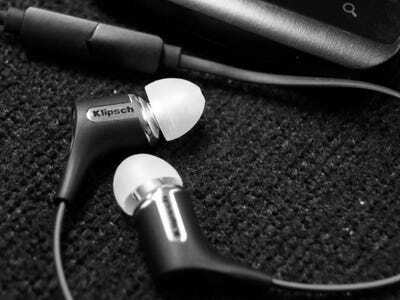 Klipsch's R6m headphones sound fantastic and let you control your smartphone. Bose's SoundLink headphones are the best wireless headphones. 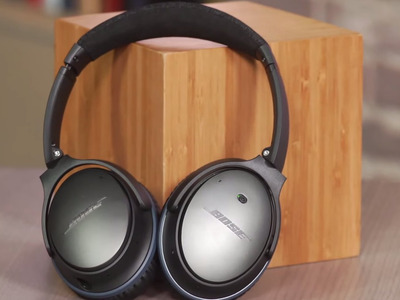 The Bose Soundlink Bluetooth headphones feature a great design, fantastic sound, and zero wires. 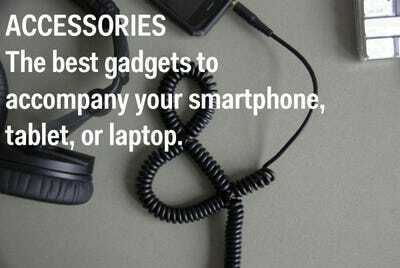 They fold up easily for storage, and there's built-in controls for answering calls. Audio-Technica's M50x headphones are the best headphones you can buy under $200. 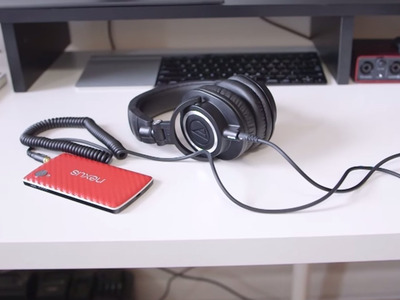 The M50x headphones are entry-level audiophile headphones that are stylish too. A fan-favourite for their crystal clear sound and accurate bass, these professional-grade studio headphones will make your favourite songs sound even better. 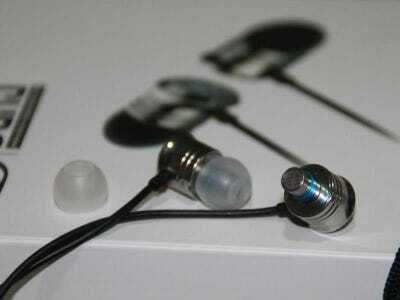 The Dunu DN-1000 headphones are some of the best earbuds you can buy. While they won't let you control your iPhone, the Dunu DN-1000s have some of the best sound you can find in earbuds, and they're comfortable too. 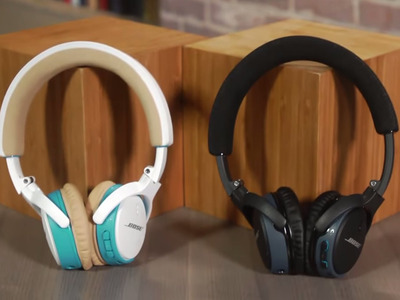 For the best in noise cancelling tech, you can't beat Bose's QuietComfort 25 headphones. Bose has always made top-notch headphones, and its QuietComfort 25 headphones offer a comfortable way to tune out all the noise with their built-in noise reduction and pristine sound. 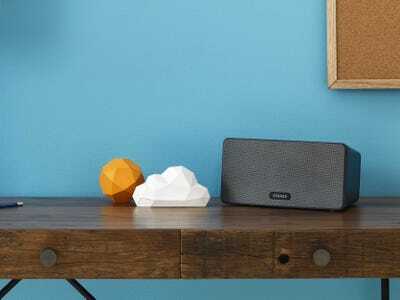 The Sonos Play 3 wireless speaker is powerful enough to fill the room. The Sonos Play 3 is the modern speaker everyone's been waiting for. It boasts terrific sound that can fill an entire room, but it's small enough to take with you. The Play 3 is also wireless, and it works seamlessly with the most popular music apps like Spotify. 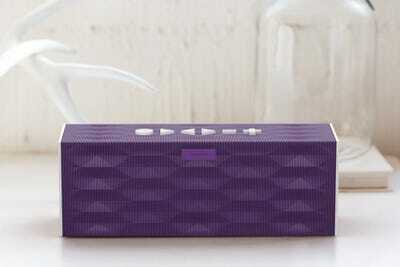 Jawbone's Jambox speakers are perfect for parties. Whether you're in a living room or on the roof, Jawbone's Jambox speakers are the best way to bring the music with you. You can design your own, the speakers sync wirelessly with your phone, and the battery lasts 15 hours. 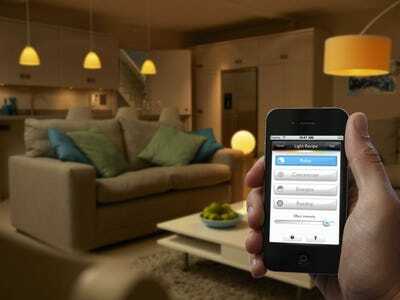 See what smart lighting can do with the Philips Hue starter pack. The Philips Hue starter pack lets you control three LED light bulbs with your smartphone, and they plug right into your existing light fixtures. Once installed, you can adjust the colour to your liking and set it up to wake you up in the morning. 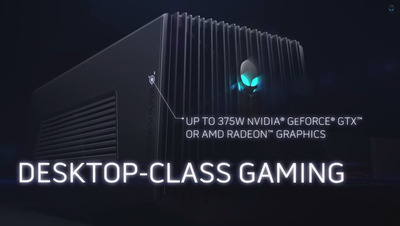 Play the newest games on your laptop with Alienware's Graphics Amplifier. Most laptops are going to struggle to run modern games at high settings, but with Alienware's Graphics Amplifier, you'll be able to add the help of an additional graphics card. Take your gaming with you with Nvidia's Shield Portable. 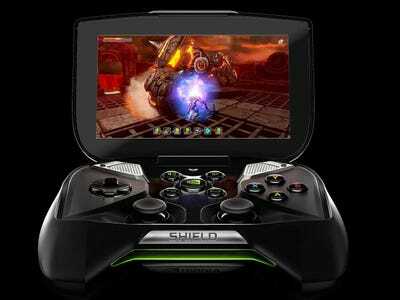 Nvidia's Shield Portable combines a tablet and controller into one, allowing you to play popular Android games and other popular titles like 'Portal' and 'Half Life 2' on the go. If you have a PC with an Nvidia graphics card, you can even stream games like 'Bioshock Infinite' and 'Titanfall' directly to the device. 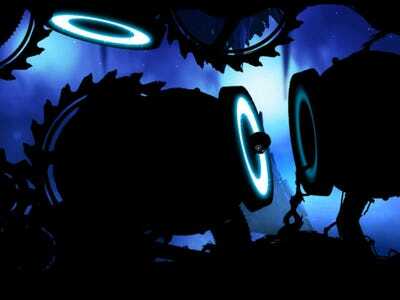 If you have an Android phone, you need to get a Pressy for it. 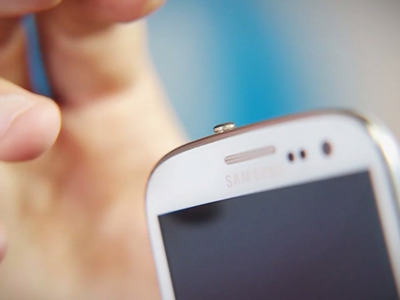 The Pressy is a customisable button for your Android phone that plugs right into your phone's headphone jack. The tiny button can be programmed to start up your favourite app, take photos and videos, broadcast your location, turn on the flashlight, or any other action your phone is capable of doing. Apple's Mac Mini is the most affordable Apple computer out there. 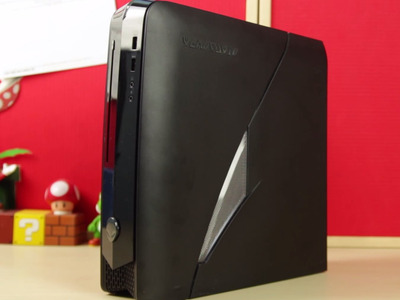 Alienware's X51 is the best compact gaming desktop out there. Alienware's X51 gaming desktop features powerful performance in a small form factor, making it great for college students. With the X51, you'll be able to play the most modern games at 1080P HD, and it even supports 3D. 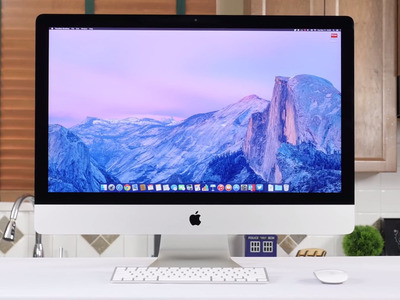 The Apple iMac with Retina 5K Display features the best screen we've ever seen. Apple's newest iMac has a stunning 5K display with twice the resolution of its previous iMac models, making it great work station for those in photography or film. 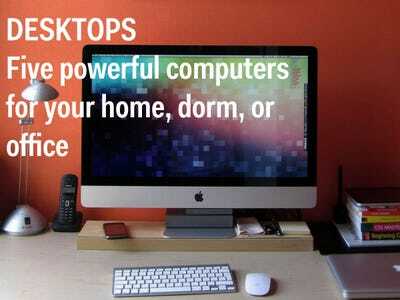 It's also incredibly powerful, with a performance that's only beaten by Apple's Mac Pro. 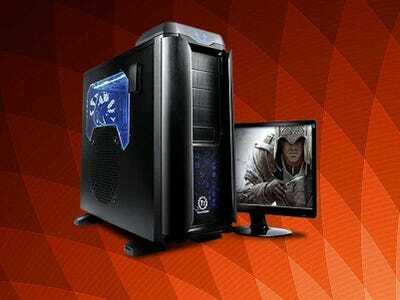 If you're looking for the best overall gaming PC, look no further than iBuyPower's Gamer Paladin F875. This powerhouse of a desktop computer offers cutting-edge performance without making you pay for a flashy design or brand-name recognition. If you want to test the limits of modern games, this liquid-cooled computer will have your back, and will continue to perform for years down the road. 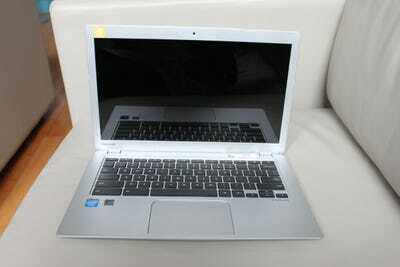 Toshiba's Chromebook 2 is super cheap and has great battery life. Toshiba's newest Chromebook is its best yet. It has a beautiful screen, great battery life, and feels comfortable in your lap. If you only use your laptop for connecting to the internet and checking email, Toshiba's newest offering is a great choice. 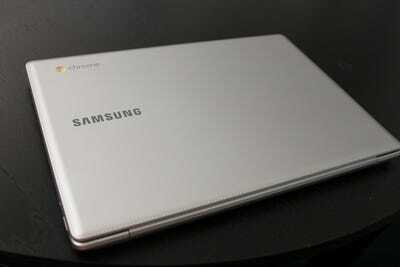 Samsung's Chromebook 2 is affordable and extremely portable. Samsung's new Chromebook is another extremely affordable and lightweight Chromebook with plenty of battery life. 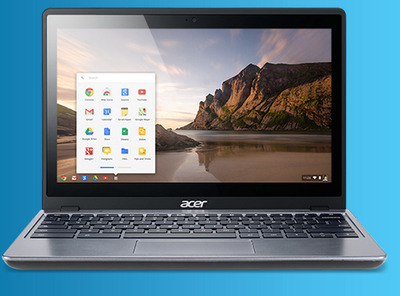 Acer's C720 Chromebook (with Core i3) is one of the fastest Chromebooks out there. While most Chromebooks run on a processor that's meant for handling light tasks such as checking email and and creating documents on the web, Acer's comes with a full desktop processor. 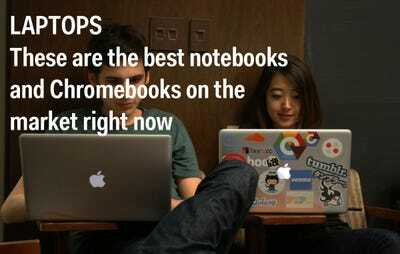 Chromebooks don't need that type of processor -- they can get buy just fine with a simple Intel Celeron chip -- but the upgrade to a Core i3 makes Acer's Chromebook much faster. The HP Stream is one of the cheapest laptops you can buy. 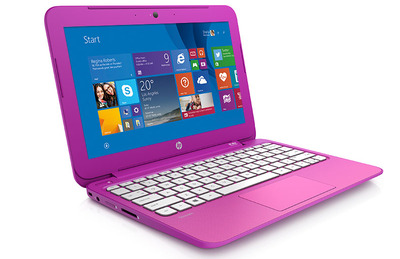 The HP Stream is a full-featured Windows 8.1 laptop that costs about half the price of your average low-end notebook. The entry level Stream is only $US200, comes in bright colours, and includes a free one-year subscription to Microsoft Office Personal. It's a great choice for those who need a cheap computer for getting work done or browsing the web. 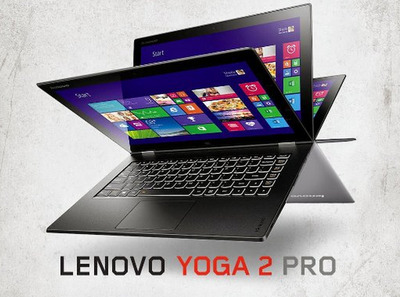 Lenovo IdeaPad Yoga 2 Pro is super flexible and has a brilliant screen. Lenovo's IdeaPad Yoga 2 is a high-end Ultrabook that comes with a beautiful screen and has a flexible design. Thanks to its flexible hinge, you can fold the keyboard underneath its screen to use it for presentations. Its battery life could be better, according to reviews, but it's still a great value for the price. Asus' Transformer Book T100 is a cheap tablet that turns into a laptop. 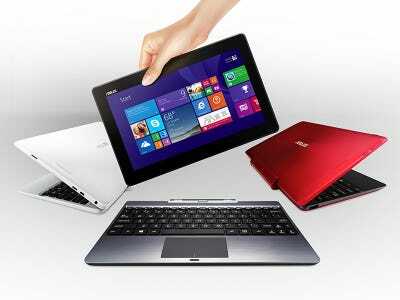 The Asus Transformer Book T100 is detachable, meaning you can use it as a laptop or a tablet whenever you need to. It runs the full version of Windows 8.1 and is cheaper than a lot of other similar hybrids. 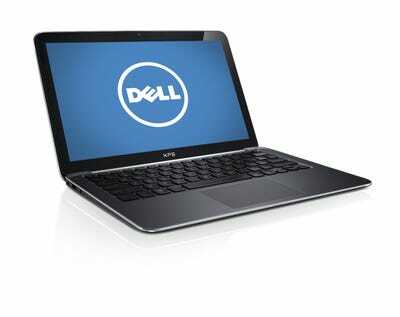 The Dell XPS 13 has a great screen and is super fast. If you're looking for a really portable high-end Ultrabook that isn't a MacBook Air, the Dell XPS 13 is one of your best bets. Reviewers have given it high marks for its beautiful screen, fast performance, and sleek design. The Fitbit Charge is a sleek, accurate fitness tracker for your days and nights -- but unlike Jawbone's offerings, this has a screen. The Fitbit Charge can track your steps, the floors you've climbed and the distance you've traveled, but it can also display incoming calls and text messages from your phone. 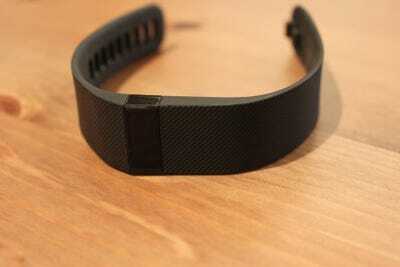 It can also track your sleeping cycles and wake you up with a silent alarm. And if you really want a display to be able to tell you information at a glance, FitBit Charge has a simple, tiny screen to display your stats, the time of day, and your various exercise modes. 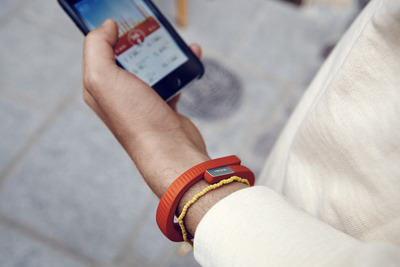 Jawbone's new UP24 is a super smart health companion. The latest version of the Jawbone UP 24, announced in early November, comes with three different sensors to monitor your health instead of just the one featured by its predecessor. The UP 24 includes an accelerometer to track your steps and calories burned, as well as new sensors to measure one's temperature, hydration, and body composition. 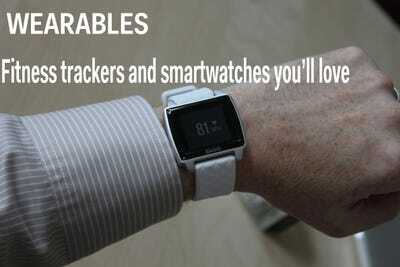 The Pebble e-paper watch is still one of the best smartwatches you can buy today. 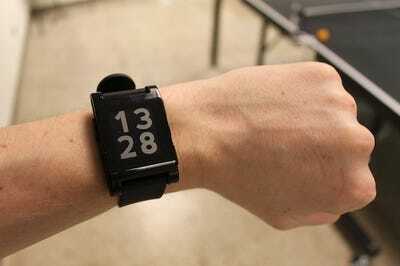 The original Kickstarter success, the Pebble is still more advanced than most other smartwatches out there. With low-energy Bluetooth, Pebble lets you view important notifications, check the weather, or change the music you're listening to without having to reach for your smartphone. And with an ecosystem of downloadable apps and watch faces -- plus a solid battery life that lasts several days -- the Pebble is still a great, functional device. 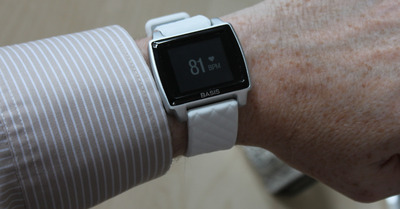 The Basis Peak is a stylish fitness tracker with great features and battery life. There are plenty of watches that offer fitness functions, but the Basis Peak is the other way around: a full fitness tracker with some smartwatch features. It can display texts, alerts, and phone calls, but at the heart of the Peak is the accurate heart monitoring and 24/7 fitness tracking features. It lasts up to four days on a single charge. 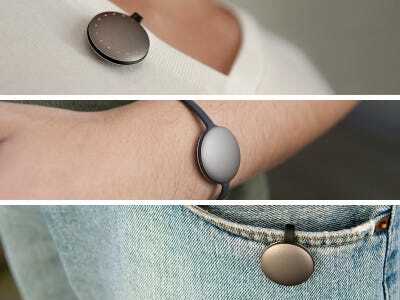 The Misfit Shine is an inexpensive fitness tracker that can clip onto anything. Sold in 10 different colours, the Misfit Shine is a quarter-sized fitness tracker you can wear anywhere on your body: You can attach it to your clothes, your shoes, or wrap it around your wrist watch-style. Its main functionality: counting your steps, your calories burned, your overall distance, and even your sleep quality and duration. 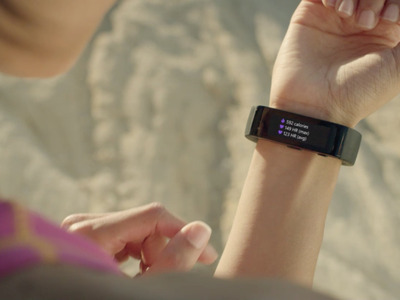 Microsoft's foray into fitness -- the Band -- has 10 different fitness sensors inside. If you want a fitness tracker that will work across all major phone ecosystems -- including iOS and Android -- Microsoft's first fitness wearable might be for you. Though some wearers say it could be more comfortable, it can really tell you a lot about yourself: The Band features a whopping 10 sensors that track things like heart rate, sun exposure, stress, exercise and sleep patterns. Microsoft Band also supports Microsoft's Cortana voice assistant, but that's an exclusive bonus for Windows Phone users. 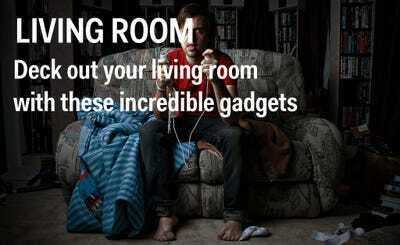 Living Room: Deck out your living room with these incredible gadgets. If you own an iPhone or iPad, the Apple TV is the streaming box for you. Apple's TV set-top box has a slew of apps for streaming video and music, and it's constantly adding more channels all the time. And if you have iTunes, you can access any of your movies, music, and TV shows right from Apple TV. If you still can't find what you're looking for on there, you can beam any content from your Mac, iPhone, or iPad to the big screen using AirPlay. 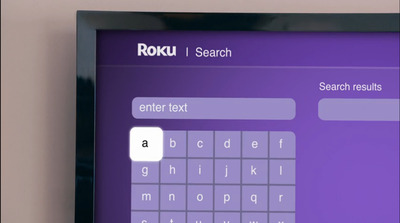 If you don't care about beaming content to your TV, Roku is the next-best set-top box. It doesn't have AirPlay or Google's 'Cast' ability, but with plenty of free and paid channels like YouTube, Netflix, HBO Go and Hulu Plus, Roku has just about everything you want in a set-top box with a super streamlined and easy-to-use interface. And as a bonus, you can even plug in your headphones into the Roku's remote so you can watch or listen to your content in private, as not to disturb others in your immediate environment. 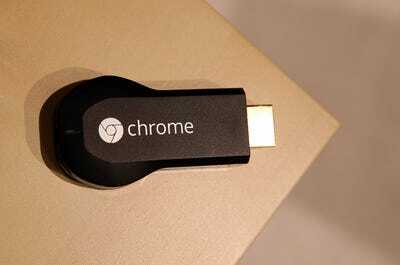 Google's Chromecast is still the best cheap way to stream your favourite content. Google's streaming dongle is still one of the best bangs for your buck. By plugging the device into an HDMI port, you can instantly stream videos, photos and music to your TV from your computer or mobile device, and it has all the major apps you care about, including Netflix and HBO Go. Google's new Nexus Player is great if you own a ton of content in the Play store. 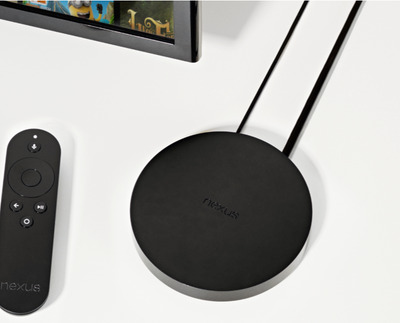 The Nexus Player is more expensive than Google's cheaper streaming dongle, the Chromecast, and there's really no reason to buy it unless you're really into Google's ecosystem. 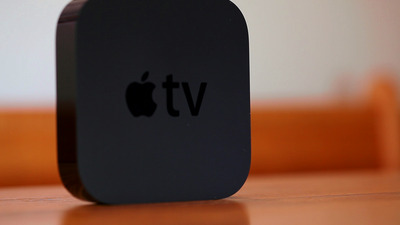 It has all the same features as Apple TV: You can stream, or 'cast,' multimedia from your computers and devices to your TV, and it has several pre-set apps to choose from. The one difference is its dedicated gaming platform and controller, which lets you can play Google Play games on the big screen. 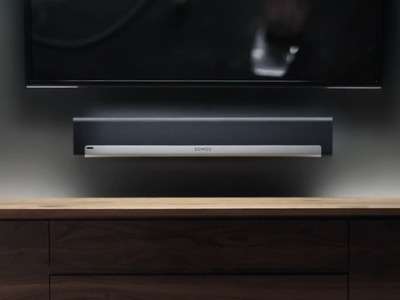 If you want powerful sound that fills the room, you need the Sonos Playbar. The Playbar from Sonos is an incredibly simple, incredibly powerful sound system with nine amplifiers that can play sound from your TV, or even stream music from your computer or mobile device. Of course, the sound quality is top-notch, with crisp miss, clear highs, and a resounding bass -- a perfect combination for anything you want to listen to. 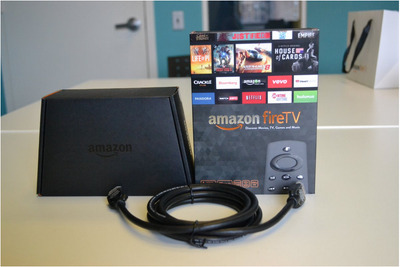 The Amazon Fire TV is an incredible streaming box if you're a Prime user. Amazon's streaming box is nearly identical to Google's Nexus Player: It has voice search functionality and a standalone gaming platform for Amazon games, in addition to the pre-set apps for movies, TV, and music. But again, unless you're heavy into Amazon and/or you're a Prime user, the Apple TV and Roku are better ecosystems at the same price point. 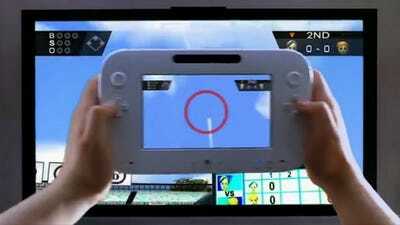 If you want incredibly fun and creative games for all ages, look no further than Nintendo's Wii U. 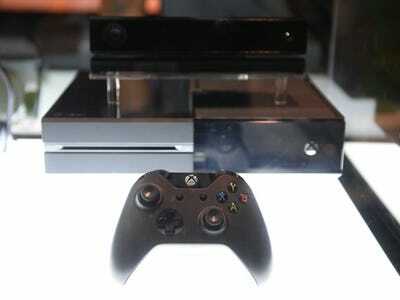 If you want a gaming console and fully integrated entertainment system, you should get Microsoft's Xbox One.